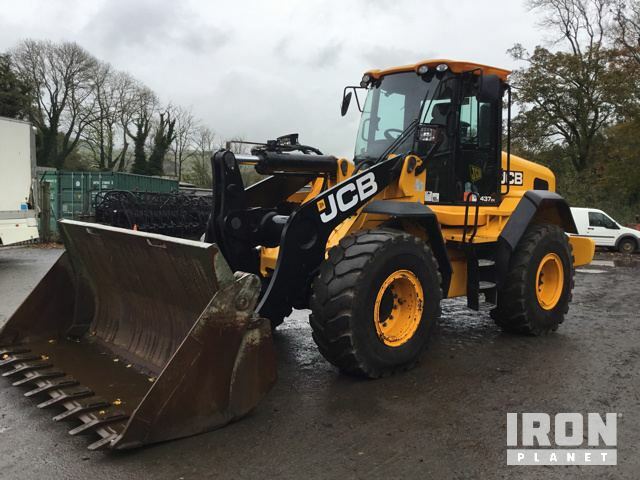 2014 JCB 437 ZX Enclosed Cab, Q hitch, 4 in 1 bucket, Heater, The electrical system was operational., The engine started and ran. The drivetrain engaged in forward and reverse. The main components appear to be in place and operational. Contact us for a price without the 4 in 1 buckets - we are able to supply alternative buckets to the one pictured - price on request.